This is a classic STA Traxion 10-16.5 tire. 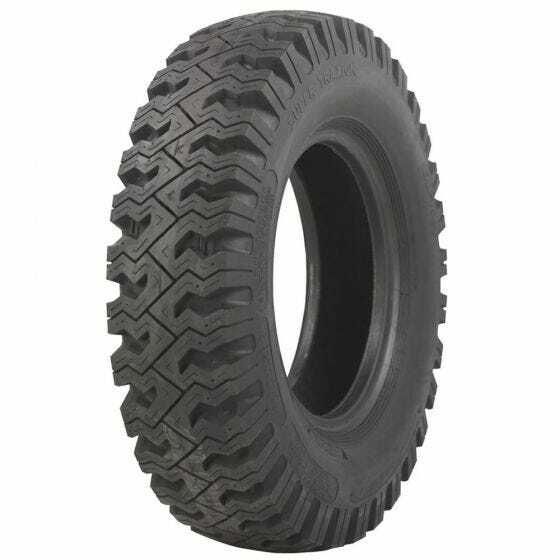 This is an aggressive tread design on tires 16.5 wheel diameter. These long lasting and durable tires offer exceptional traction for pickups, vans, campers on both highways and for off-road uses. These tires have a minimum stone retention design. Clean out is a snap as mud and stones are cast off as the tire rotates. Other features include: Great traction with husky lugs, Pinned for studs, Cool running with deep vented shoulders, Wide profile for flotation and traction. Could these be used on a 1977bcortez motorhome? It is possible, however we do not have any technical information about your motor home. We suggest you compare the current equipment with the specifications tab on this tire to make further determinations. Also, be sure to reference any load requirements for your motor home and compare with our specifications.